Melba toast started out as “Toast Marie”, named after Marie Ritz, wife of Swiss hotelier Cesar Ritz, invented for her by chef and friend Auguste Escoffier after Marie commented that she could never find thin enough toast. Escoffier renamed the thin, crisp snack “Melba toast” in 1897 when he was working with Cesar Ritz at London’s Savoy Hotel and opera singer Dame Nellie Melba was staying there. Dame Melba reputedly ate Melba toast regularly when she was sick that year. Apparently Marie Ritz, who ran Paris’s Ritz hotel after the death of her husband, was savvy enough about the hotel business not to mind the name change. Dame Nellie Melba, whose real name was Helen Porter Mitchell, formed the surname of her stage name from that of her hometown: Melbourne, Australia. She must have been popular; Peach Melba is also named after her. How many people have two dishes named after them, I’d like to know? What would you even have to do to have that happen now…? In 1925, the ironically-named Mayo Brothers prescribed an “Eighteen Day Reducing Diet” to Ethel Barrymore (Drew’s great aunt) that included Melba toast, making today’s guest dish almost as popular as the movie star required to consume it. But, as with most popular icons (take William Shatner for instance), the heady heights of fame and fortune gradually fade. Melba toast, once the comfort of the most glittering stars, has now become an over-processed cracker sometimes given to teething infants as a hard yet malleable substance to chew on. So it falls to us to resurrect the glory days of this humble yet inventive little cocktail buddy. Taking a leaf out of Escoffier’s book, I hereby re-name it “Eva Toast” after 365 Foods’ Eva. Ha! You just need one more, Eva, and you’re neck and neck with Nellie in the foods-named-after-you department. Of course the toast is nought without its friend the topping (no off-colour jokes about Eva’s husband now), and so I chose to make a White Bean and Smoked Fish Brandade to accompany Eva Toast into a new and shining chapter of the history of this storied snack. Cut very thin rounds of white bread (I used baguette), roll thin, and toast. 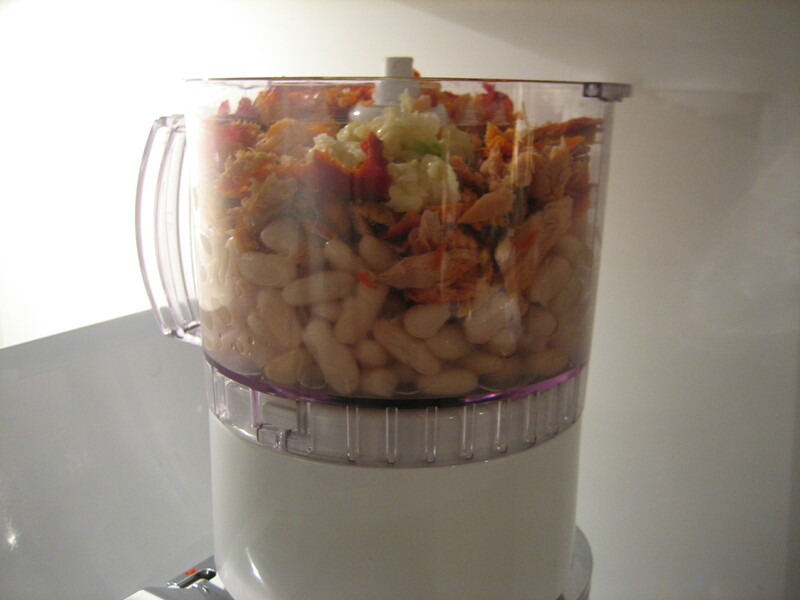 In a food processor blend beans, fish, and garlic paste until smooth. With motor running add milk in a slow stream. 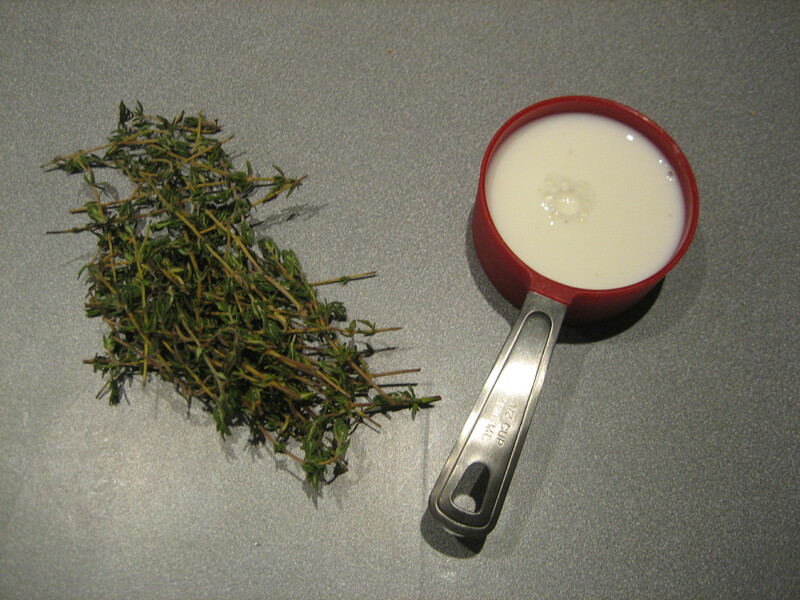 Stir in thyme and salt to taste. 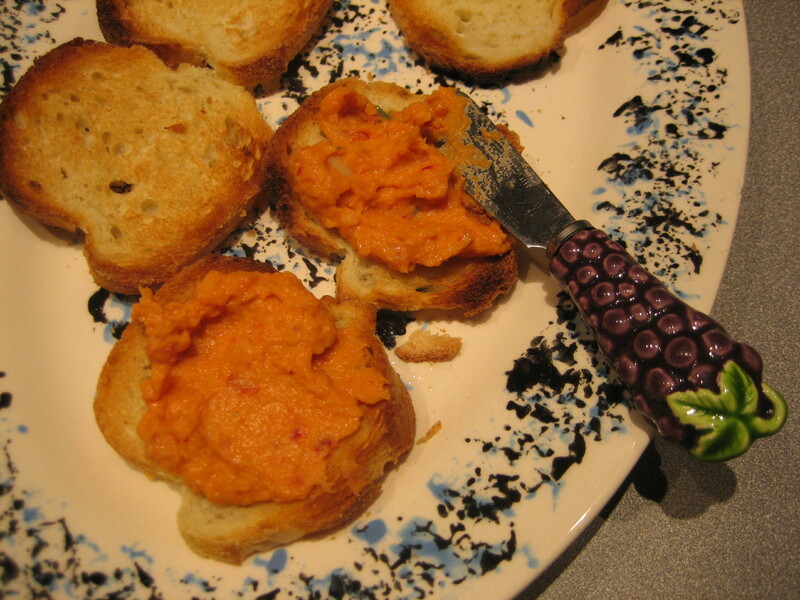 Serve brandade with Eva Toasts. Thanks Deb! These look delicious! They remind me of that amazing dish at Mis Trucos. Droool. If and when someone names a food after me, I’d like it to involve cheese. and wine. I’m just very flattered I get a mention! 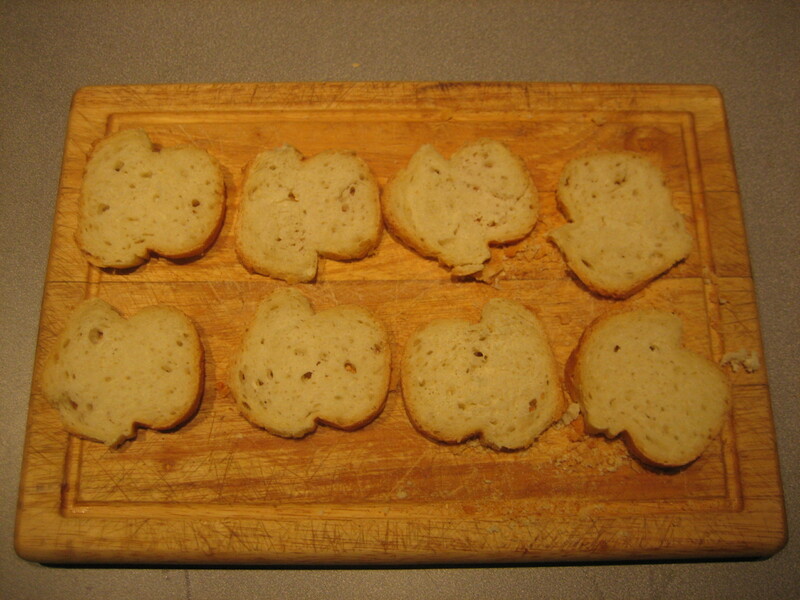 I think I like Eva Toasts! Oh Eva – you are such a princess! Thanks for the 2-day in a row postage Deb! Both brilliant and funny. I especially like the comment about “toppings” – hehehehe. I also totally dig your serving platter – it is completely perfect for the cute little toasties! NICE! i love that you guys are doing melba toast because we are doing chip and dip day! WOOT WOOT! though…yours looks delicious and will probably taste better than what we will have!